NEW YORK, March 30 /PRNewswire/ — Multiple Grammy Award-winning, recording artist, actress and songwriter Janet Jackson will now add another first to her iconic career when she makes her ESSENCE MUSIC FESTIVAL debut this Fourth of July weekend–July 2, 3 and 4–in New Orleans as the third and final headliner. 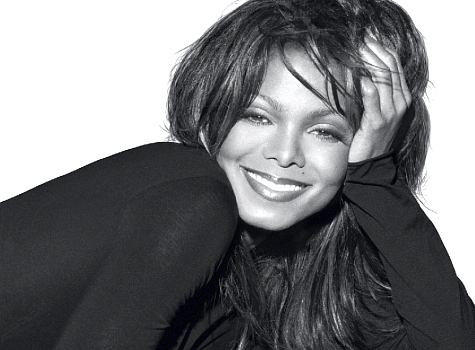 Janet Jackson will perform on July 2, the opening night of the ESSENCE MUSIC FESTIVAL. The announcement was made today in celebration of Janet’s iTunes release of “Nothing” the theme song she performs, co-wrote and co-produced for Tyler Perry’s Why Did I Get Married Too? opening nationwide April 2, 2010. Janet Jackson is an Academy Award nominee, who has also sold over 100 million records worldwide and is one of the best selling artists in contemporary music. She joins Mary J. Blige and Alicia Keys on a bill that features some of today’s greatest African-American artists. This marks the superstar’s first-ever appearance at the annual event and Janet Jackson’s first full performance since her 2008 concert at Madison Square Garden in New York. This year’s multi-generational list of ESSENCE MUSIC FESTIVAL 2010 performers not only celebrates ESSENCE’s 40-year commitment to music, but also honors the local music of New Orleans. The full list of acts confirmed for this year’s weekend-long celebration of music, culture and community–set for July 2, 3 and 4–is as follows: Alicia Keys, Arrested Development, Big Sam’s Funky Nation, DJ Soul Sister, Estelle, Hot 8 Brass Band, Irma Thomas, Irvin Mayfield and NOJO, Ivan Neville’s Dumpstaphunk, Kermit Ruffins and the Barbecue Swingers, Lalah Hathaway, Leo Jackson and the Melody Clouds, Little Freddie King, LL Cool J, Mary J. Blige, Mary Mary, Mint Condition, Monica, Rebirth Brass Band, Ruben Studdard, Sam & Ruby, Shamarr Allen and the Underdawgs, Soul Rebels Brass Band, Trey Songz and WAR. In addition to adding Jackson to the bill, the ESSENCE MUSIC FESTIVAL can now confirm actor, writer, comedian, and entrepreneur Thomas W. Miles II–known to millions of radio listeners as “Nephew Tommy” on the number one syndicated rated radio show, The Steve Harvey Morning Show–as the master of ceremonies for the ESSENCE MUSIC FESTIVAL’s nightly concerts at the Louisiana Superdome. Prior to developing his career as a radio personality, Tommy was chosen as the exclusive opening act to tour with the legendary Luther Vandross for three years. Throughout his career, Tommy has built a following as a stand-up comic and his comedy shows are sellouts in venues across the country. Last year, the ultimate destination for entertainment, empowerment, culture and community celebrated its 15th anniversary with a record-breaking 428,000 attendees. What began in 1995 as a one-time event to celebrate the 25th Anniversary of ESSENCE magazine has now grown into one of the country’s “Top 10 Leading Brand Events” by Advertising Age. The ESSENCE MUSIC FESTIVAL is the nation’s largest annual gathering of African-American music and culture; in its 16-year history, it has featured an array of performers including Alicia Keys, Al Green, Aretha Franklin, Beyonce, Chaka Khan, Destiny’s Child, Earth, Wind & Fire, Gladys Knight, LL Cool J, Jamie Foxx, John Legend, Kanye West, The Isley Brothers, Lionel Richie, Luther Vandross, Maxwell, The O’Jays, Prince, Stevie Wonder, Toni Braxton, Patti LaBelle and Yolanda Adams. The presenting sponsor for the 2010 ESSENCE MUSIC FESTIVAL is Coca-Cola. Other 2010 sponsors include Coors Light, CoverGirl Queen, Ford, McDonald’s, Olay, Pantene, Tide, TV One, U.S. Army and My Black is Beautiful. Essence Communications Inc. (ECI) is the number one media and communications company dedicated to African-American women. With a multi-platform presence in publishing, live events, and online, the Essence brand is “Where Black Women Come First”. The company’s flagship publication, ESSENCE magazine, is the preeminent lifestyle magazine for African-American women; generating brand extensions such as the ESSENCE MUSIC FESTIVAL, ESSENCE Black Women in Hollywood, Window on Our Women (WOW I & II) and Smart Beauty I, II & III consumer insights, the Essence Book Club, Essence.com, and ventures in digital media (mobile, television and VOD). For 40 years, ESSENCE magazine, which has a brand reach of over 8 million, has been the leading source of cutting-edge information relating to every area of African-American women’s lives. Additional information about ECI and ESSENCE is available at www.essence.com. This entry was posted in Featured, Kulturati, News, World by admin. Bookmark the permalink.